Our male dog lived six years without getting into any serious dogfight. Now, in the past two, he has been bitten by two different male dogs, one smaller and one larger. Meeting new dogs is one of the greatest challenges and it takes practice for owners to get proficient at making introductions. The more recent incident happened over Memorial Day weekend when we visited some friends at their summer home for the first time. They have a characteristically enormous, friendly Leonberger, also 8. As we let our dog out of the car, they let theirs out of the back yard. They both ran around initially. The Leonberger instigated play but our dog, a smaller soft-coated wheaten terrier, got nervous and barked back. Then we let them into the back yard. The interaction became more intense, then tense. The Leonberger bit Bruno’s back, drawing hair, blood and a bloodcurdling howl from our dog. We were scared he had a spinal injury for a moment – his back was drooping down — but after we soothed him and he stopped crying he could walk normally. A week later, he still has a scab and lump on his back and he flinches when we touch his right side, but the swelling seems to be diminishing and he’s as active as before. Even so, if my husband hadn’t separated them, or if his own limbs, our 7-year-old daughter, or anyone else had been in the wrong place at the wrong time, we shudder to think what these two normally docile, social dogs might have done. Q: How should we handle this if it ever happens again? A: Always separate by grabbing hind legs and pulling away. I don’t play the blame game when there is a dog bite, I frame it as “this is your homework, dog owner” and “this is your homework, injured party.” I recommend introducing dogs on neutral ground and to take both dogs for a walk. Q: Would it have helped to introduce the dogs with ours on a leash, rather than having them both loose in the yard? A: Meeting new dogs is one of the greatest challenges and it takes practice for owners to get proficient at making introductions. There is a great deception in the term “socializing dogs.” It is always explained as something our dog goes through by meeting lots of dogs. What socializing actually should be understood to mean is how dog owners handle their dogs and make them feel comfortable in situations. In the wild, wolves don’t visit other packs on a Saturday night to hang out. So the norm is to see all new people and animals as strangers. Q: Would it have helped to have both dogs on a leash upon the initial meeting? A: Only if done properly. 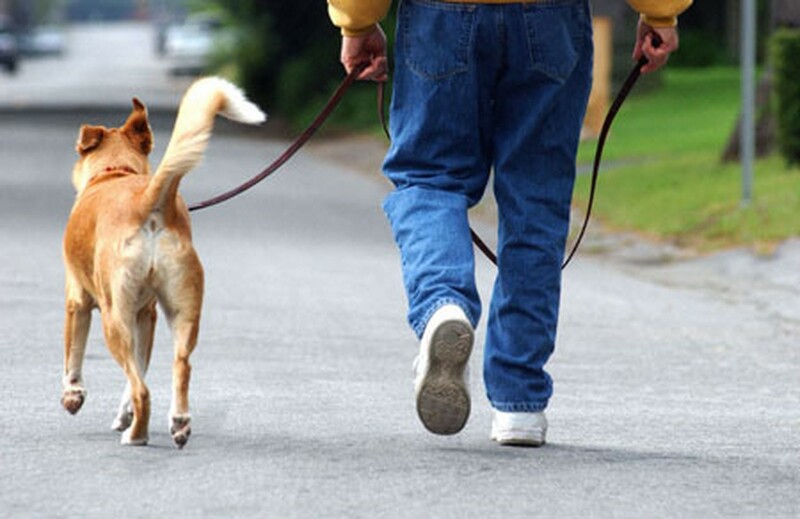 Holding the leash tightly provokes the “fight” in the natural fight-or-flight response. The tightly held dog can’t flee so it can only fight to defend itself. So I recommend a drag leash so the leashes can be picked up if there is an issue. The key, though, is the initial ability for all dog owners to handle their dog in their lifestyles. Many don’t even go to class. In teaching dog-handling skills since 1994, I haven’t met many people past advanced beginner regardless of the number of dogs they have owned. A: Giving treats is a distraction that can work, but what’s key is to present the encounter in a happy and friendly manner. Instead, one dog was allowed to run at the other, which is more akin to a foe encounter. I have new dogs coming and going many times a day. People remark that the dogs seem to all get along and my reply is that I make them get along. It’s up to us to ensure our dogs act in the desired manner and not up to them to know how to be little pocket humans. Q: Is this a male-on-male problem? Do we not need to worry about our dog meeting a female dog? A: Not necessarily. Just consider the fact that you don’t always love the people you meet. Dogs are the same. Encounters are always multifaceted. I always lather on the effusive happiness. Dogs need lots of vocalized tone direction about encounters. I use lots of voice to mark positive behavior/moments of intention, to reassure dogs and to attract them naturally. Q: Must we from here on out separate our dog from male dogs? Once traumatized, is a dog likely to become ever more defensive with each encounter? A: I ran a shelter and was an animal officer and I didn’t know entire histories of dogs. The important thing is to be a strong and competent leader and re-record over anything traumatic. Many owners use avoidance because they don’t have the skills to make things better. That’s when each additional encounter becomes more dangerous. I very quickly change it from negative to positive. If you don’t get over it, and get tense each time, you are influencing the encounter at hand. Dogs live in the moment. Q: Is this a dominance issue? 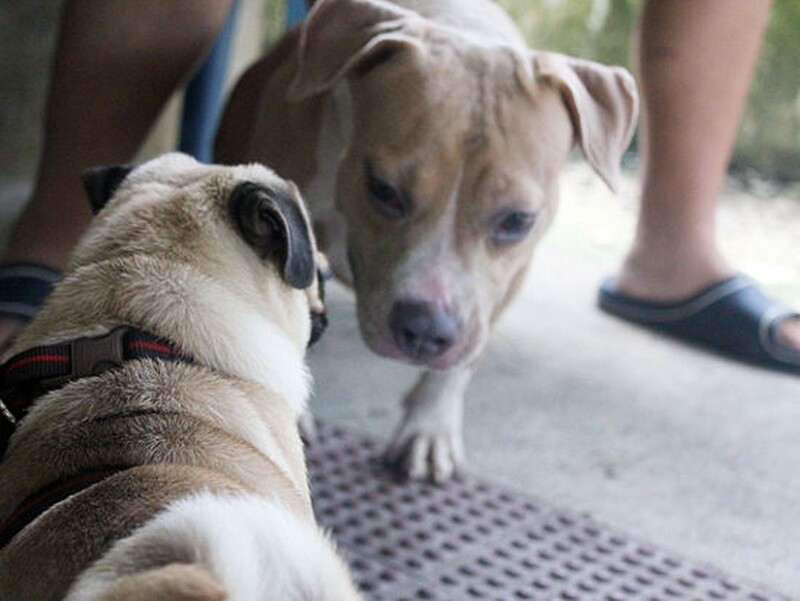 A: Dominance comes after the dogs figure out if they are friends, foes or someone is prey. After that, they go right into figuring out who ranks where. Rank dictates how they interact. There are dogs that really like each other but there are no best friends. With Berryman’s guidance, I realize now this situation resulted from our own human error. Our solution is to not bring our dog into the domain of another male dog without both being on leashes, which we will let go of if they initially seem to be buying our positive narration. If there’s any hesitation on the part of the other owner, we will keep our dog home in the care of friends who have so kindly taken him since he was a puppy. Melissa Berryman is the author of “People Training for Good Dogs,” and is a dog bite prevention specialist for the Dog Owner Education and Community Safety Council. As a former animal officer, Melissa Berryman witnessed every failure imaginable among dogs, their owners, and her community. Drawing from these experiences and her knowledge of both human and canine behaviors, Berryman created the People Training for Good Dogs program to help owners incorporate the canine point of view into dog owners’ handling skills. By offering insight into the importance of acknowledging and working with core canine social and behavioral drives, Berryman provides owners with sound handling techniques. Written with humor and compassion, People Training for Good Dogs will quickly show you how to use clear feed-back in order to achieve off-leash vocal control. Our solution is to not bring our dog into the domain of another male dog without both being on leashes.